A few weeks ago we were lucky enough to be invited to Build-A-Bear Liverpool, to make Little E's first bear. 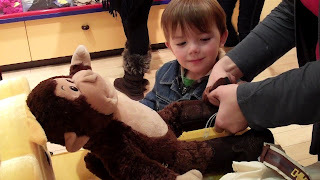 Mister A was really excited - he has a monkey called CJ that came all the way from Build-A-Bear Singapore and he couldn't wait to help make one for Little E! 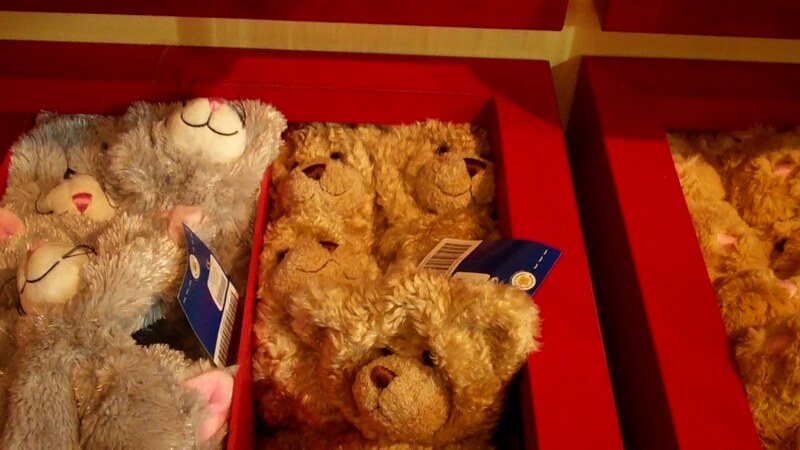 Just in case you've never heard of Build-A-Bear before, I'll fill you in. You choose what kind of stuffed animal you want from the shelves then you watch as they are stuffed (soft hard or somewhere in the middle - you choose) and then they are given a heart. You can even record your own message to go inside. Once your bear is full you then get to add the heart. 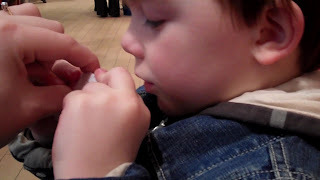 This was by far Mister A's favourite part as he had to really get involved (I love this video)! 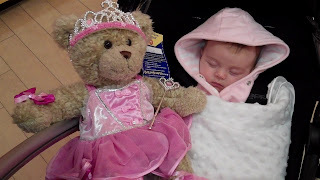 Mister A choose a fancy ballerina fairy outfit for Baby Bear. Little E just loves her...well she does when she's awake! Next job was to prepare her 'Bearth' Certificate - ha - see what I did there! You enter the details of who the bear is for and what the bear is called on to the computer and you get a lovely certificate showing the date that they were made. 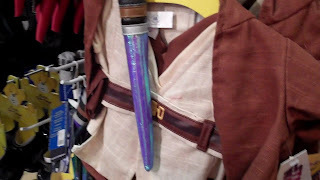 We had such a lovely day at the Build-A-Bear store. We even got to meet Pudsey Bear and Mister A helped colour in a giant Pudsey pic as part of their fundraising efforts. We just love Build-A-Bear, in fact Mister A 'has' to go there whenever we're in town! If you haven't been to your local Build-A-Bear store then you have to go - it's such a lovely thing to have your own bear made with such love.